Rare Midfoot Fractures. Midfoot fractures are particularly rare; however, there are a few mechanisms that tend to lead to midfoot fractures more than others. One of the most common ways that people can develop a bone fracture is actually through a stress fracture. When someone runs, his or her foot takes the brunt of the impact with every step. Over time, people can develop small fractures in their foot that may not show up on an x-ray initially but can become particularly painful. 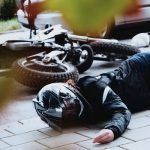 Bicycle accidents are another way that people can sustain foot fractures. Serious falls can cause people to strike the pavement, leading to some different traumatic injuries. Finally, auto accidents can also lead to midfoot fractures. If someone hits another car or object, the front of the car can get rolled up. The individual’s feet will get rolled up by the front of the vehicle, leading to a foot fracture. These are serious injuries that can be difficult to treat; however, midfoot fractures can be particularly challenging because of their rarity. When someone has been diagnosed with a foot fracture, there are a couple of different treatment options to consider. The problem with midfoot fractures is that they are rare, so a standard treatment protocol has not yet been devised. For someone with a stress fracture, the treatment is rest and removal of pressure which can be difficult for someone who is a serious athlete. On the other hand, a review article discussed a variety of treatment options that individuals can go with. For some people, they could require screws in their foot to hold the bones in place. This is often used for fractures that are larger or displaced which could require something to keep the bones together while they heal. For other people, they could need only a cast to immobilize the foot while the bones fuse back together. This is a decision that must be made on a case by case basis. What is right for one person may not be right for someone else, which is why imaging is so important in the decision of treatment for any fracture of the midfoot. Many times, due to the rarity of midfoot fractures, there is a delay in arriving at the proper diagnosis. Furthermore, once this diagnosis is made, without any form of standard treatment, it can be a challenge for someone to make a full recovery. Because of this, many different complications can arise. Some people could have difficulty walking and might have trouble regaining full mobility, such as walking and running. Other people might have pain in their foot for the rest of their life and could require pain medication to keep this under control. Sometimes, arthritis develops at an earlier age as a result of the damage in the foot. 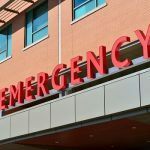 Regardless, these complications can place families under a significant amount of stress and, because of this, families might be looking for help. 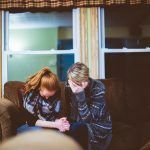 In these situations, speaking with a compassionate attorney can help families review the options that are available. Watch YouTube Video: Stress Fracture Symptoms & How to Speed Up Recovery. This video discusses eight ways to avoid a stress fracture. I’m Ed Smith, a Sacramento Personal Injury Lawyer. Midfoot fractures can cause a wide variety of complications and some of these can be chronic. 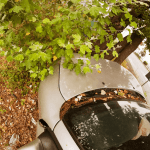 If you or a loved one has been injured in a car accident, call me at (916) 921-6400 or (800) 404-5400. I am thrilled to be a member of the Million Dollar Advocates Forum. Everyone is invited to view the list of our verdicts and settlements here. Please look through Avvo, Yelp, and Google and to read reviews from many of our past clients. Image Source: pixabay.com on pexels / Rare Midfoot Fractures.